On 12 October 2017, a first stakeholder workshop for the PUCS sectoral service on Cultural Heritage took place in Palazzo Massimo, in Rome. 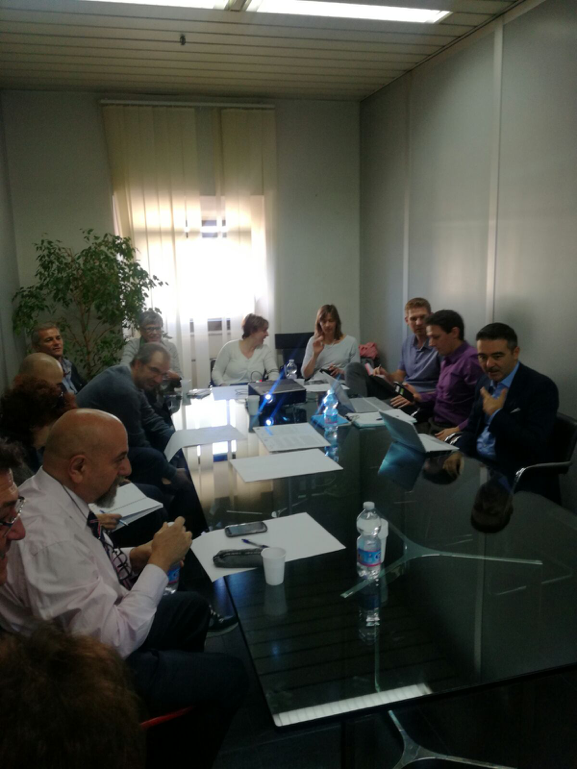 The workshop garthered experts from the Baths of Caracalla (Terme di Caracalla) and the district of Testaccio, consultants from T6 and Superintendence of Cultural Heritage of Rome, as well as members from the Municipality of Rome and ARPA Lazio. After a short introduction of the participants, Climate-fit.city goals as well as the expertise of the partner organisations VITO and T6 were presented. The presentations were followed by a discussion on the climatic challenges faced by the cultural heritage sector in Rome . The key issue is that currently a high number of tourists want to visit the same popular monuments in Rome, which results in long waiting lines. The tourists visiting the sites often suffer from heat stress, poor air quality and allergies caused by pollen. The monuments being located in the city centre, traffic and rain are also frequent concerns. To address these issues, VITO, together with Climate-fit.city partners, proposes to develop an online web platform that shows for each touristic site detailed information about the expected heat stress, air quality and pollen situations as well as rainfall amounts for the next few days. The information will be based on a regular weather forecast for Rome, provided by a local meteorological service or acquired by VITO from the free GFS model. Information could be provided for morning, noon and afternoon/evening to better inform visitors of optimum visiting hours and to therefore better spread the visitors over the day. In order to do this, a database with very high (meter-scale) resolution maps on heat stress, air quality and pollen will be set up by VITO, to which the weather forecast data will be linked. Optionally, for sites that experience a lot of heat stress, VITO can perform an adaptation scenario analysis to help address the problems (e.g. by planting trees, providing shade or water, etc. ).